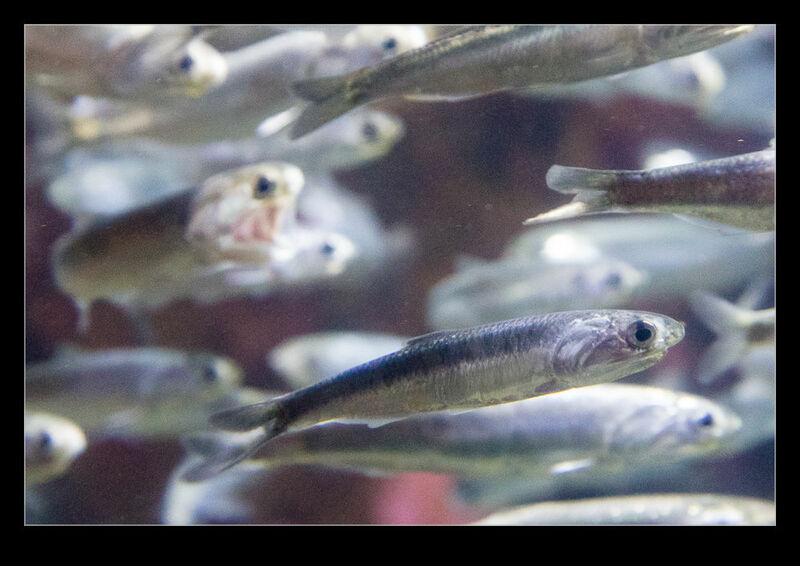 There was a tank full of sardines at the aquarium that caught my attention. This was something that was really hard to photograph but I tried anyway. The sardines were swimming quickly in shoals and they looked much as you would expect them to – a sleek, silvery fish zipping through the water. The thing that caught my eye was they way that they opened their mouths to feed. The shape of the head is narrow and clean but, when they open their mouths, flaps of skin unfold to create a huge opening allowing them to scoop up food from a far wider area. A few of the shoal would do this at any one time so you never knew where to look but they would open wide for a second or two and then close up again. It totally transformed their appearance. 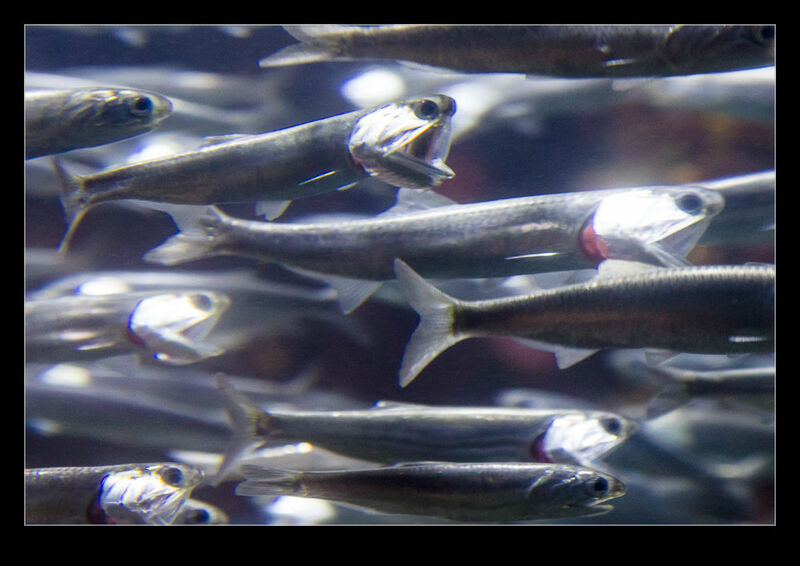 This entry was posted in Pacific Northwest, photo, wildlife and tagged aquatic, feeding, fish, mouth, Newport, ocean coast aquarium, oregon, photo, sardine, travel, wildlife. Bookmark the permalink.